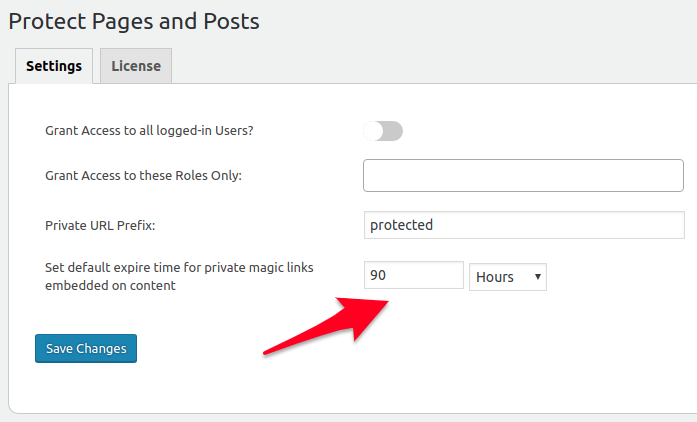 You can use Private Magic Links extension to embed your protected WordPress files, pages and posts into your content then dynamically automate a new expiring link within a period of time that you’ve set beforehand. Step 1: Once you’ve installed Private Magic Links extension, go to Settings page of your main plugin which could be either Prevent Direct Access Gold, PDA S3 or Protect Pages & Posts (in this example we’re using Protect Pages & Posts plugin). You’ll find an expire time option for all your private magic links. Update the expire time to what you desire. That’s all you have to do. Now our Private Magic Links extension will expire and automate your protected pages’ private link according to the expire time you set on Step 1. A Private Magic Link refers to the link of any protected files that’s inserted into your WordPress content be it a Page, Post or Custom Post Type (what you’ve done on Step 3). The reason we call it “magic” is because that original link will be automatically converted to a private download link, which you can set to expire within a period of time or clicks.